Get paid to save the planet! Right now the Federal and State Governments has taken the lead in encouraging and promoting alternative energy usage in a BIG way. 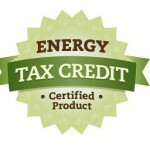 These CREDITS, can reduce your tax burden Dollar for Dollar, if you make use of approved alternative energy equipment. Did you know in one second the sun produces enough energy to meet the entire earth’s needs for over 500,000 years. How would like to be part of going green and taking advantage of the newest technology with smart energy solar panels? 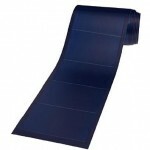 Our new thin film solar panel technology will meet the needs for your RV and Marine applications. Our mission is to provide the latest new technology that will allow you to draw from the sun’s energy for longer periods of time to provide the most efficient, less expensive way to protect your investment. Learn how to save money, increase your options to see the world worry-free with a solar panel that is so durable you can even walk on it, and has a 5 year warranty with a minimum of 80% power performance output after 25 years on your solar panel investment. While this picture might have been the first solar powered recreational vehicle, Summit Solar offers a few more advanced solutions. Solar Solutions for the RV’er who is either tired of dealing with having to redirect panels every time he stops, frustrated with poor performance on cloudy days, or has heard of the issues with older designs that simply do not hold up to the rigors of RV Travel.